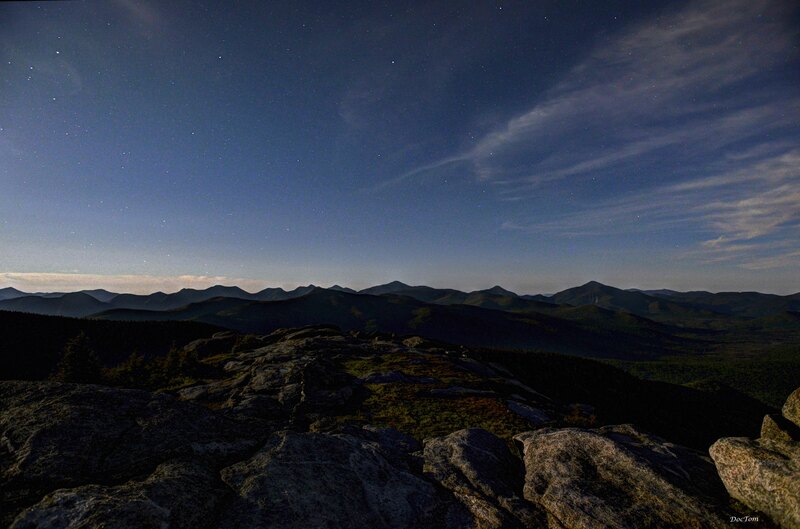 There’s something very special about the Adirondacks at night. The pure darkness of the sky. The quiet of nature. The chill of the night air that tells you you’re alive. 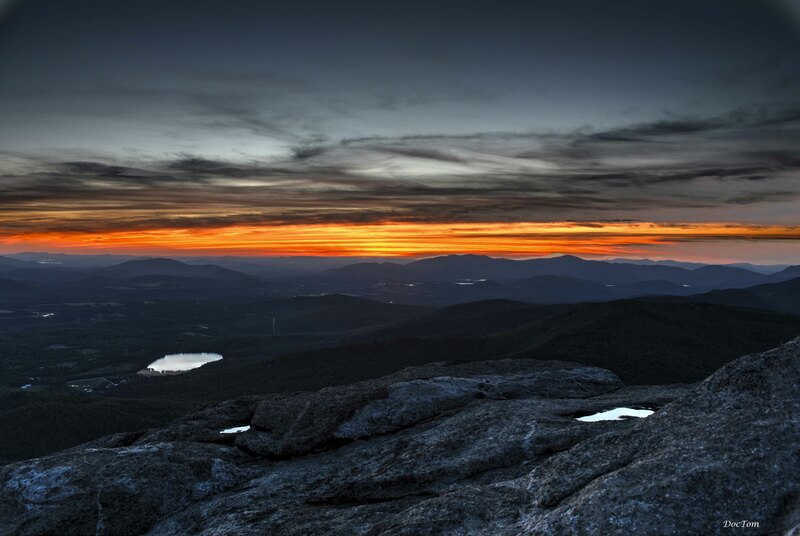 A few months ago I decided to climb Cascade Mountain late in the evening to take some pictures. It was the night of a full moon and I had always wanted to try to re-create Nathan Farb’s “View From Cascade” by moonlight. 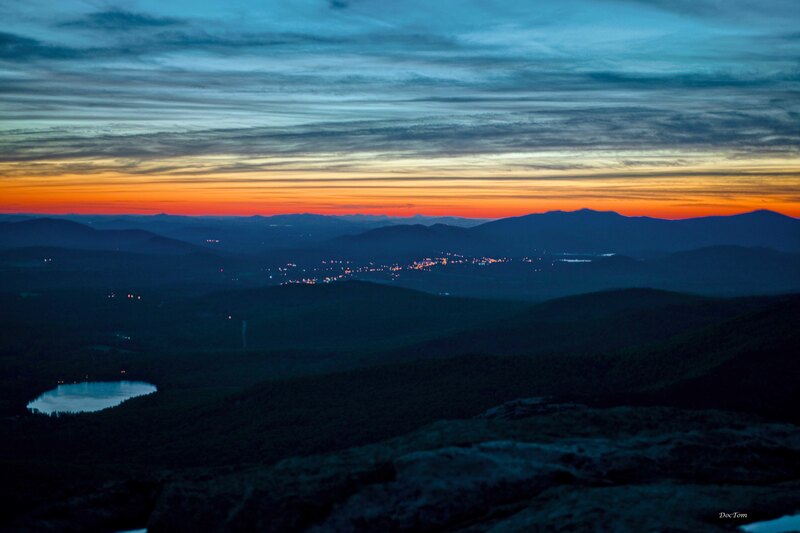 Just about the center of the frame is Lake Placid. As the night darkened the lights began to go on and I decided that was also worth a shot. So I zoomed in a bit and tried again. Either way, a beautiful view. I hope you enjoy these as much as I did taking them. Finally, a year ago I just had to try to get a picture of the view from Indian Falls by light of the full moon. Here it is. If you’ve never seen this before, that’s Algonquin in the center with Wright to the right and Boundary and Iroquois to the left. Three High Peaks in one view (Boundary doesn’t count). It was another beautiful night in the Adirondacks. These photos are breathtaking, Tom. Today is March 20th, first day of spring. I’m your sister Chris’s old grade school friend from Greenpoint days, Theresa (Wisniewolski), and recently gave her those 3 books from Library of America. 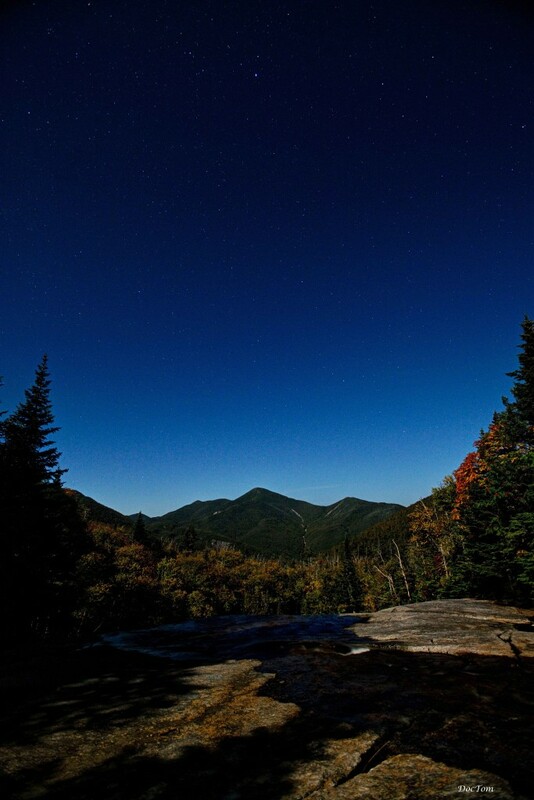 The photo I would like a print of is your night shot of Algonquin, Iroquois, and Wright. Chris said the size you would print for me is 13 x 19 and you’d give it to her for me next time the two of you saw each other. Any questions, just email me below. Thank you so so much. Hiking the Great Range with my late husband are some of my fondest memories. Sorry for the long delay, but the picture was dropped off with Chris the other day.